ISLAMABAD: The Pakistan People Party on Monday proposed a one-year extension in the tenure of military courts that were set up to expedite the country’s war against terrorism, a day after it failed to hammer out consensus on the issue at a multi-party conference. 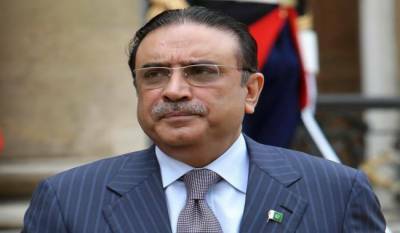 Speaking at a press conference, PPP leader Asif Ali Zardari said his party would present nine suggestions to the government with regard to the extension of military courts . He said session and additional judges should also sit in military courts and the judges should be appointed by chief justice concerned. PPP suggested a suspect will have the right to challenge verdict of a military court in high court as well as a lawyer to plead his case. He said chief justice should name the judges of military courts . “We are open to dialogue, if political parties think our suggestions are inappropriate,” he said, adding that the PPP’s nine suggestions would be debated in the parliament before being approved. The former president of Pakistan said he could not guarantee that the new law wouldn’t be used against politicians. “We can only hope that it will not happen,” he said and went on to say that Dr Asim Hussain was targeted despite the assurances given by the government that politicians would not be victimized.